Everyone loves food. But you know what people love more? FRIED food. 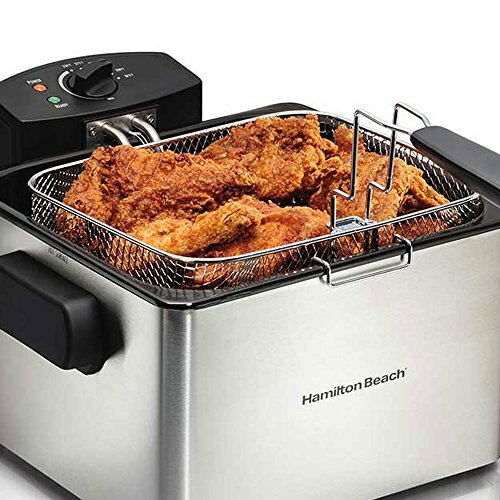 Take your food game to the next level and fry absolutely everything you've always wanted to try frying with the Hamilton Beach Professional 21 Cup 2 Basket Electric Deep Fryer. 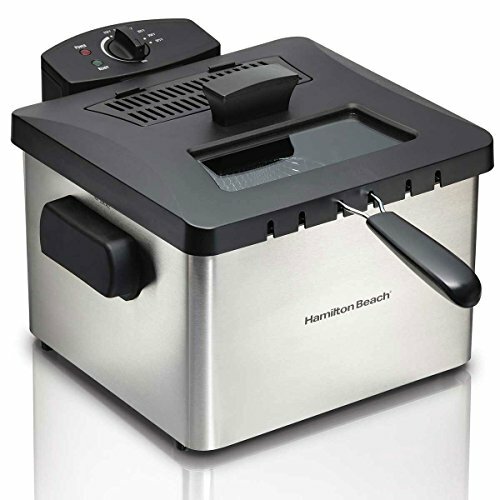 This Hamilton Beach deep fryer is about to become your favorite tool in the kitchen. It features a large fryer basket with a 21 cup food capacity to fry up to 13 servings of fries or 12 servings of chicken tenders. 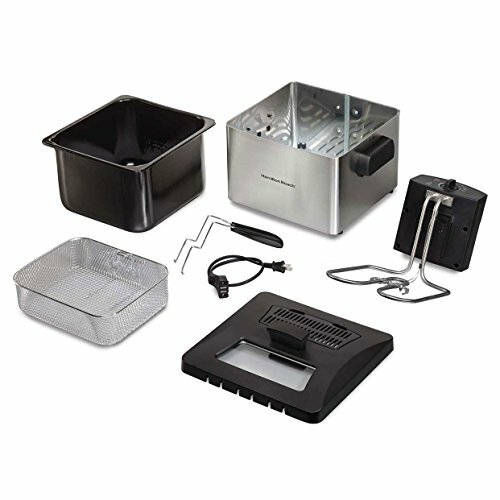 The power light, ready light, and adjustable timer with audible tone make this at home deep fryer easy to use. 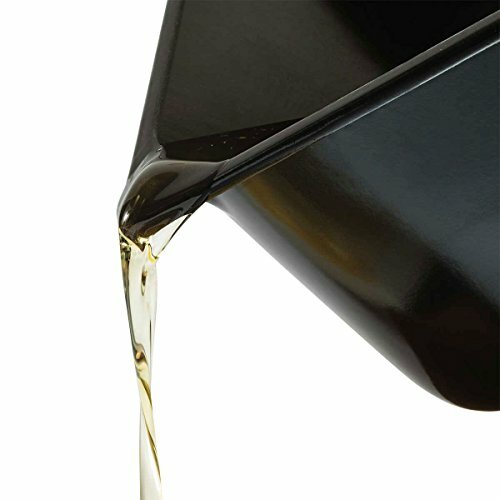 The fully immersed heating element heats your oil quickly, and adjustable temperature allows you to fry just the way you like. 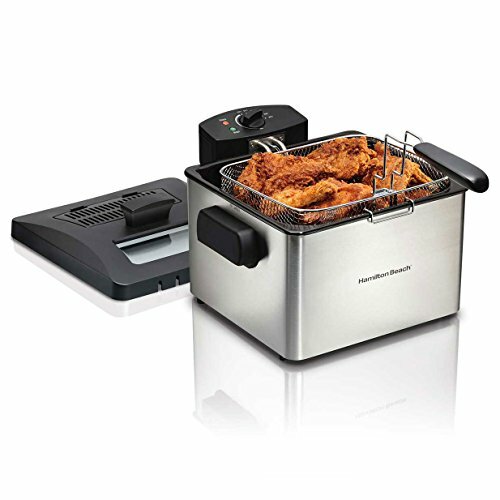 Easy to assemble, operate, and clean, get ready for fried, crispy heaven, fans of deliciousness, when you choose the Hamilton Beach Professional 21 Cup 2 Basket Electric Deep Fryer.